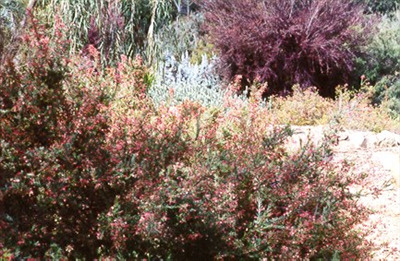 Ornamental shrub with grey foliage and dark pink flowers appearing winter through spring. Most forms prefer well drained soils in full sun or semi-shade. Drought and frost tolerant (16F). Several forms available. 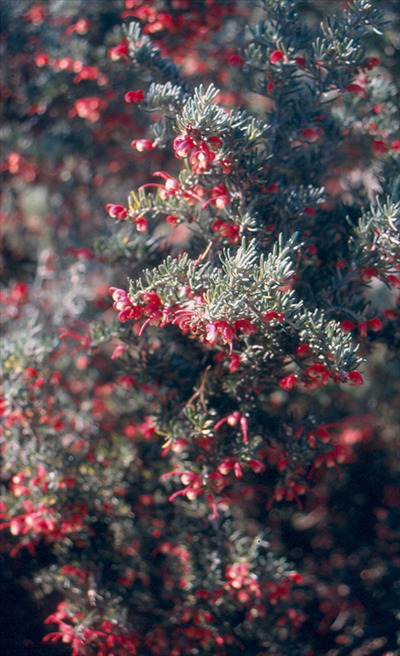 G. lavendulacea `Billywing' and G. lavendulacea `Penola' 4'x5', growing lower than the species. Good hummingbird attractor.